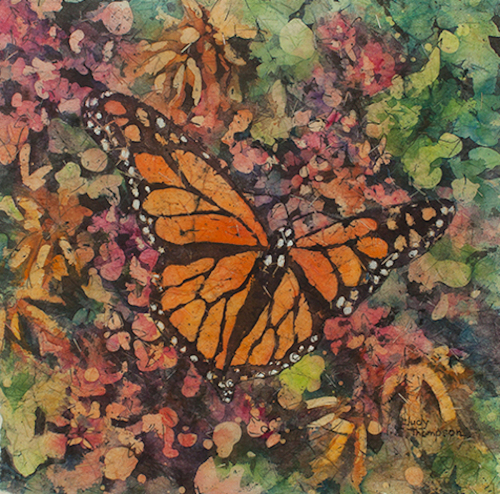 Watercolor Batik on Kinwashi Paper Image Size: 31x8" Framed Size: 39x16"
Watercolor batik produces a delicate, opaque painting which is created by alternating hot wax and watercolor on Japanese Paper. 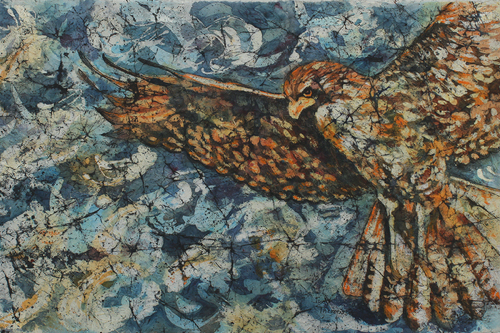 Blues and golds add to the drama of this red tail hawk soaring over the prairie. 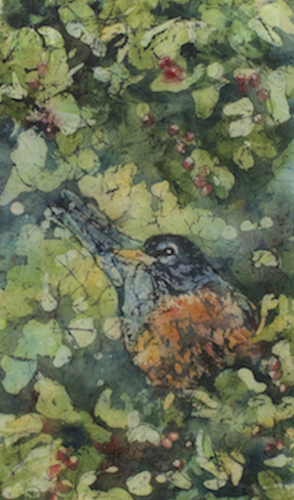 A familiar and welcoming scene, this robin awakens spring within all of us. 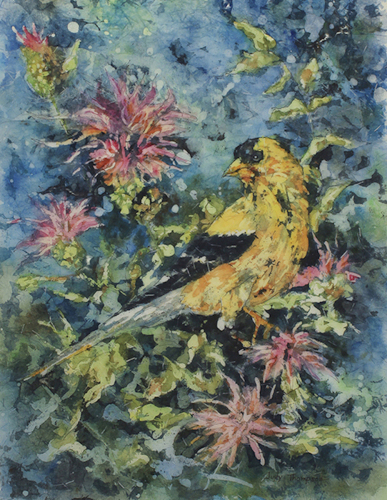 A glint of summer, this goldfinch is a bright spot on the prairie. 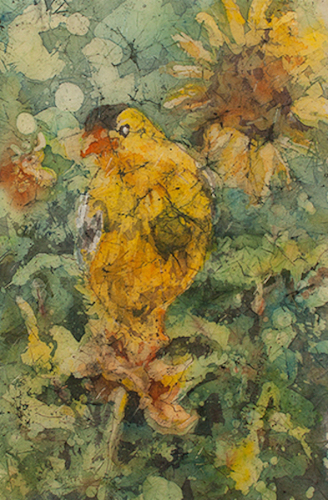 Repeating leaf shapes create a beautiful and delicate image on opaque, Japanese paper. 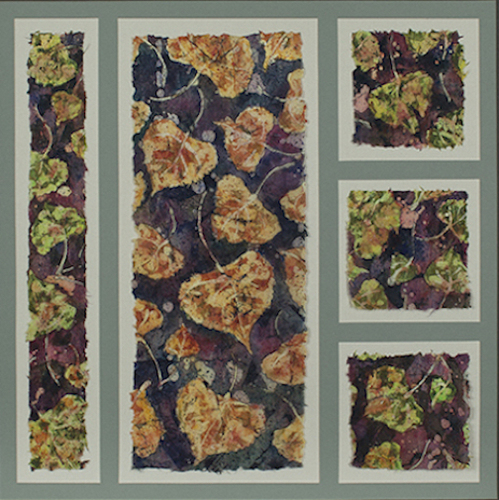 Leaf motifs in greens and purples provide a stunning accent to any home. 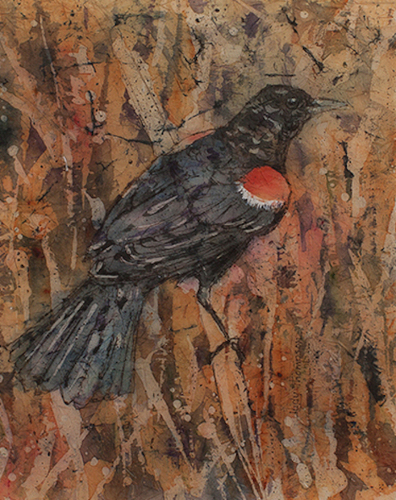 A redwing blackbird stake his territory in the prairie grasses. 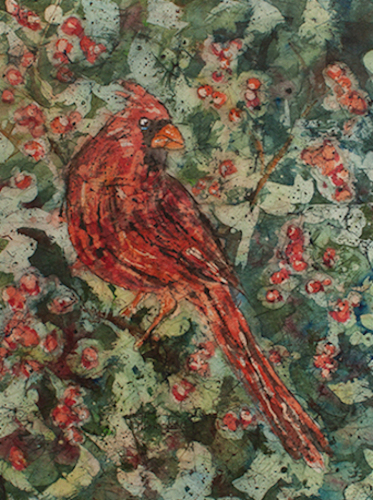 Reds and greens complement each other in this iconic image. 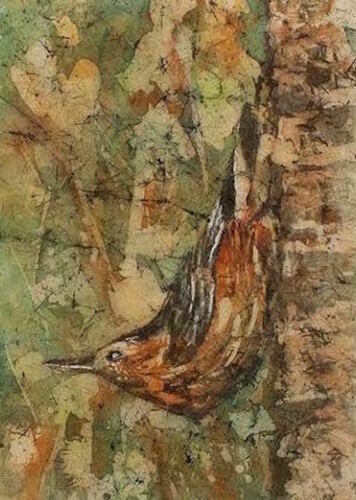 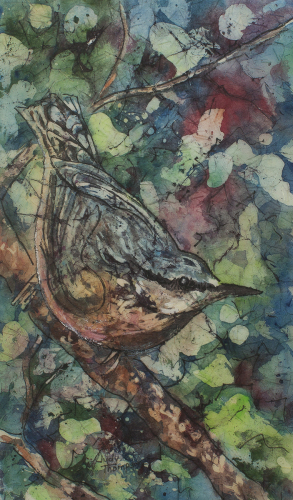 This little nuthatch, creates a visual treat on this lovely batik painting. 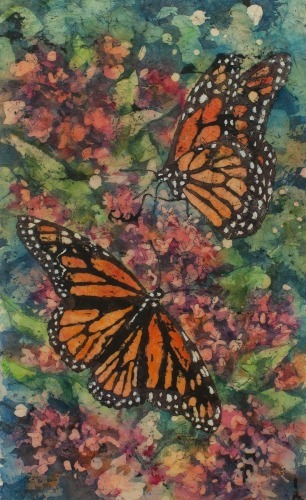 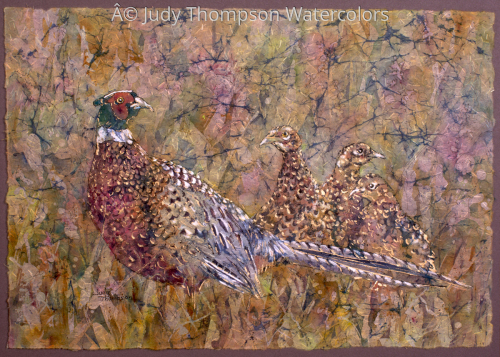 Watercolor Batik on Japanese Paper Image: 14x20" Framed: 27x33"